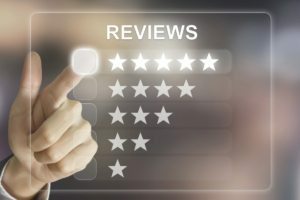 With the increased importance of reviews as a factor in your business getting found online, it has become imperative for any business to have a review management process that cultivates and tracks reviews across the internet. In a recent study, 10 of the top 11 factors for local search were related to the number and content of reviews of your business. With entity search springing on the scene in 2018, your local reviews are now connected to your standard organic rankings as well, making them even more important than ever. You have to consistently get more reviews. Many believe they will eventually eclipse links as the top ranking factor for businesses. As Google pays more attention to reviews and gives them more importance, they also outline what they consider as ethical methods of gaining reviews. In the recent past, we have seen review management tools that cheated the system to try to gain fake reviews, get their customers punished and thousands of reviews removed. 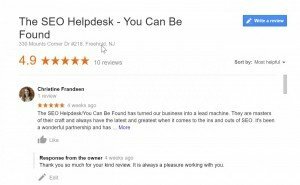 What is sometimes worse is the business owner doesn’t even know they are breaking the rules and often if Google finds one or two ill-gotten reviews for a business, they will get rid of all of them, and you are left with nothing. The developers of our tool pay close attention to Google rules and in fact, with a recent change to the Google standards document, adjusted the tool the same today to make sure they were following the rules closely. You can gain reviews with the assurance that you are doing it the right way and not risk losing them all. Negative reviews are unfortunately a part of any business. No matter how hard we work to do things right and provide our customers with a great experience, somebody is bound to spring up with a bad review. Though we can stress about this, we can’t necessarily be assured they will never come. We will keep an eye on your reviews for you and point out negatives that pop up so you can respond to them accordingly. Often the response to a negative review will help convert people into clients. People understand a business will have some negative reviews, but want to see how you handle them. In fact, a business with many reviews that are all 5-star is a red flag to Google that things aren’t being done on the up and up. Keeping track of those that aren’t blown away by your service and reacting accordingly is a big part of business success. Google has begun putting all of this interaction out there publicly for the world to see, and your reaction is a factor in your ranking, so stay on top of things so you can turn potential negatives into positives. 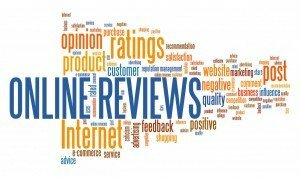 If you would like to get started with review management and keep an eye on your business presence on the internet, please give us a call. We can get things set up for you and develop a custom setup that works best for your business. We also offer Google Posts and Q&A Management to stay on top of your entire local presence and put your best foot forward. We can combine the two services for a great local presence package. You have no obligation or long-term commitment, but if you want to follow up with a true SEO campaign that begins to build your site strength so you climb the rankings, that will always be available to you to start anytime. In fact, you will have a client discount once you start. In the confusing world of search, we reached success by helping people understand the process and ease them in. We have been doing this for over a decade and are an A+ BBB company and a Google Certified Partner. We are your partner and work with you to enhance your search presence by utilizing the tools you already have and building a search strategy so you don’t have to reinvent the wheel. We will always stay up to date on the latest and greatest in review management so we can offer clients the best tools and tricks to move forward and take advantage of everything Google wants to present you first. We always make sure we are following the rules and doing things right though, so you don’t have to worry about sudden penalties for trying to cheat the system. Jeremy attends SMX Advanced every year, the best meeting of the minds in the global search industry. He is also a regular attendee and 2018 attendee of Local U Advanced, which focuses only on local search and the cutting edge information on what works best and what doesn’t matter in local search. With the best and brightest in the world on your side, you know you are doing things the right way to move you forward. We take pride in using your budget the best way to move you forward and up in the rankings.